Here you find the basic rules for most events. However, depending on the mood and experience of the event-manager some rules and rewards in game might differ. Expect event-announcements in game at any time you see an event-manager online or check daily the calender and forum here on swat-portal! Players who participate in events are considered out of server roleplay during the time of the event. Every interfering with the event from outside players under the excuse of roleplay (or just trolling) will be punished by Galaxy Rangers. Two teams fight each other. Both teams have each 1 Dreadnought (or Battleship) and several fighters. The fighters of team A try to kill the Dreadnought of team B (and vice versa). Teams are inter-clan, meaning that freelancers, pirates, mercs, smugglers and cops usually fight alongside each other. Fight is all versus all. 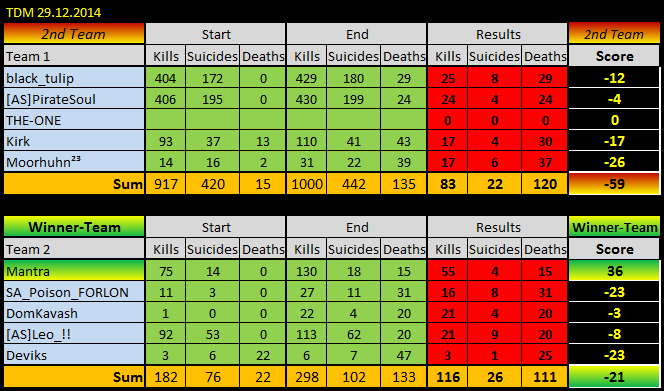 · winner is determined by the best kill/death ratio. The Hunters have to hunt the Smugglers and kill them. The Smugglers have to manage to fight their way to a special station to deliver their goods. Two or more smugglers start from a given system and have to dock at a final station. On their way to that station, they have to reach two other systems (checkpoints). Hunters know only the final docking station but not the two intermediary systems. · smuggler must NOT fly capital ships! · hunters work as a team, so no killing and PvPs between hunters! Two teams fight each other in Arena. The team with more kills is proclaimed winner. Teams are inter-clan, meaning that freelancers, pirates, mercs, smugglers and cops usually fight alongside each other. Fight is all versus all. Objective is to stay alive last - last player alive wins the round. · The fight is all vs all - no clan/ally-style grouping! · When starting, players should be at least 2k apart from every other participant. · There are three rounds: The first two rounds will be all vs all. · The winners of the first two rounds (last men standing) will fight in the 3rd (final) round. · All participants must engage on start - no waiting for everyone to kill each other then join in at the last moment. Collect the maximum number of Ancient weapons in specified time frame by killing Ancients in Dervon system. This is a cooperative play event. This means, there are 2 teams (2 teamleaders volunteer and choose their teammembers) and the total amount of collected guns of each team will decide wich team wins. Both teams hunt Ancients in the same time. Note: killing NPC-s in events will affect your Reputation with the specific NPC-Faction! Collect the maximum number of Dom'Kavash-Annihilators in specified time frame by killing Dom'Kavash-gunboats in Hieron. This is a cooperative play event. This means, there are 2 teams (2 teamleaders volunteer and choose their teammembers) and the total amount of collected guns of each team will decide wich team wins. Both teams hunt Dom'Kavash-gunboats in the same time. Collect the maximum number of alien weapons in specified time frame by killing Dooms in hostile IC-systems. This is a cooperative play event. This means, there are 2 teams (2 teamleaders volunteer and choose their teammembers) and the total amount of collected guns of each team will decide wich team wins. Both teams hunt aliens in the same time. Collect the maximum number of nomad weapons in specified time frame by killing Nomads in Freeport 7. This is a cooperative play event. This means, there are 2 teams (2 teamleaders volunteer and choose their teammembers) and the total amount of collected guns of each team will decide wich team wins. Both teams hunt Nomads in the same time. Note: killing Nomads in events will affect your Reputation with Dom'Kavash! Collect the maximum number of Xenos-guns in specified time frame by killing Xenos in Hudson. This is a cooperative play event. This means, there are 2 teams (2 team leaders volunteer and choose their team members) and the total amount of collected guns of each team will decide wich team wins. Both teams hunt Xenos in the same time. The race goes over several systems. Objective is to be the first at the final destination. · racers dock and start racing when Even Manager gives the “GO"
meet the event-manager in announced system and after event starts fly through the tradelanes into the given direction and with the announced number of rounds. meet the event-manager in Arena and after event starts fly to Hive system and back to planet Issos with the announced number of rounds. The race goes over several systems. Objective is to trade containers between the announced planets and in the end be the first at the final destination. Edited 39 times, last by (IOC)Wanderer: fixing tabs ( Jul 16th 2018 ).